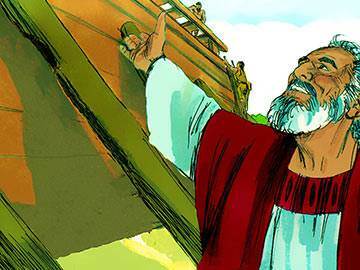 For another story about Noah, see this lesson in audio-visual format. Little is known of Noah’s early life except that he was from the line of Seth, the son of Lamech, and the tenth man from Adam. He appears in Bible history at a time when there was great sin and wickedness on the earth. No catalogue of specific sins is to be found, but the Bible goes to the root of the matter by saying “every imagination of the thoughts of his heart was only evil continually” (Gen. 6:5, RSV). The source of sin is shown to be not so much in deeds, but in the depths of man’s heart. 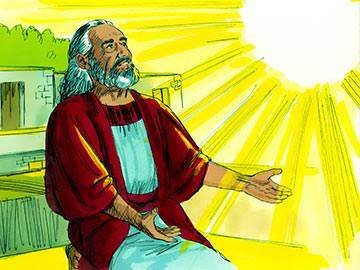 How was it possible for Noah to live a godly life in the midst of such wickedness? The answer is ‘grace’. This was the power that not only supported him, but made him more than equal to his great task. Scripture tells us that “as it was in the days of Noah, so also will it be in the days of the Son of Man” (Lk. 17:26, NIV). How comforting to know that as we draw nearer to Christ’s coming, the same grace that made Noah equal to his task is available to us. 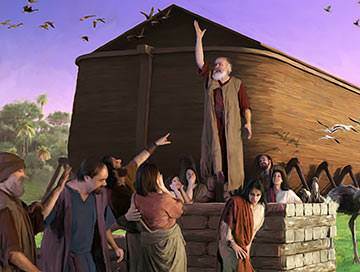 Noah’s personal relationship with the Almighty is described in four simple but meaningful words: “Noah walked with God.” Moses encouraged the children of Israel to walk after God, and Abraham was said to walk before God, but only of Noah and Enoch was it said that they walked with God. To walk after God implies a willingness to follow Him in all the ways He leads; to walk before God suggests a consciousness of His abiding presence; to walk with God is to be constantly at His side and in closest possible communion with Him. The only other time that this phrase occurs in the Old Testament is in Malachi 2:6, when it is applied to the priests who stood in a closer relationship to God than the rest of the people. How would you describe your daily walk with God? Do you walk before Him, after Him or with Him? Check on your relationship with the Lord today, and do whatever is necessary to bring your life alongside His. Although Noah was surrounded by a generation which was engaged in impiety, impurity and lawlessness, he believed, nevertheless, that God was in charge of history. He believed when God told him that a great flood was about to engulf the earth—even though he had never before seen rain (Gen. 2:5). He believed when God told him to build a gigantic boat—hundreds of miles from the nearest ocean! And he kept on believing even though the flood did not actually come for over a hundred years. There are many definitions of faith, but basically faith is acting on what God says. Doubtless many of the things God said to Noah would have caused him some surprise; but it was enough for him that God said it. Ready for a challenge? If faith is acting on what God says—how much of a man or woman of faith are you? If the answer makes you feel unworthy, then don’t despair. List the things in which you have not obeyed, then focus on one thing you have not done—and do it. Then move on quietly to the others—and deal with them one by one. Although the age in which Noah lived was exceedingly wicked and sinful, he did not withdraw from it but became a preacher of righteousness right in their midst. What agony of soul he must have endured as he beheld the scenes of wild disorder and sinfulness, but he made his righteous protest nevertheless. In a sense his preaching seemed to be unsuccessful, for ultimately only he and his family were saved. 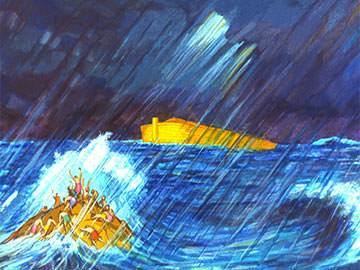 Noah’s mission, however, was not to save the world—that prerogative belongs only to God—but to faithfully witness to what God had told him, and thus make sure that the generation in which he lived would hear God’s warning and be without excuse. How important it is to recognise that our primary task in life is not to save our generation, but to witness to it. And understood correctly, this should not diminish our evangelistic zeal and passion, but increase it. 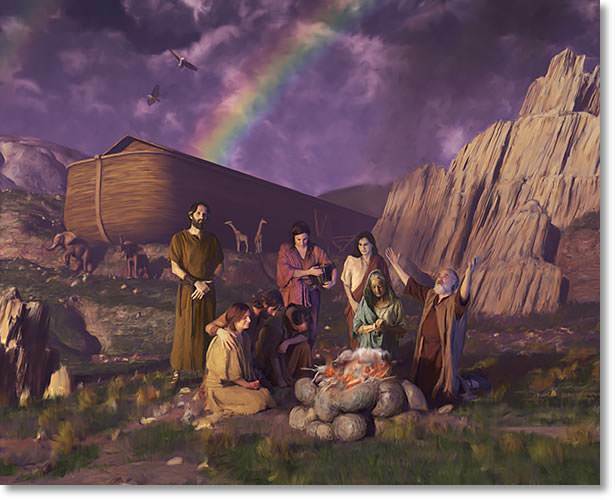 The Flood swept away every living person and animal on the earth except Noah and his family, who were ‘remembered’ by the Lord. 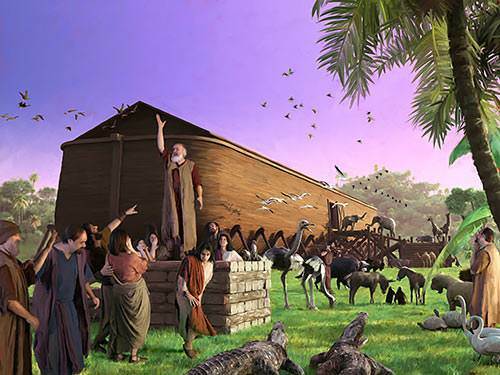 Noah was obedient to the letter in following God’s instructions: he built the ark according to God’s design, witnessed to the coming flood and selected pairs of every living creature for the preservation of the species. Thus because of his obedience he and his family—eight in all—were saved. Those who remember God are remembered by God. 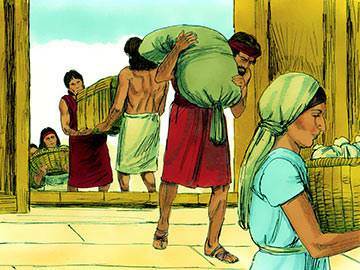 When Noah emerged from the ark approximately a year after he had entered it, his first task was to build an altar. Note that the first foundation in the new world was not a house but a church! Some people’s first reaction to a dramatic deliverance from God, such as a healing or a miracle, is to focus on how to get on with their lives. But not Noah; his first concern was to give God the honour that was due to His Name. A principle we would all do well to follow! The Flood distinctly marks the end of one order of things, and the beginning of another. It was expedient that one generation should die for all generations, and that generation having been removed from the earth, fresh provision is made for the cooperation of man and God. On man’s part there was the acknowledgement of God by sacrifice, and on God’s part there was a renewed gift to man of the world and all its fullness. 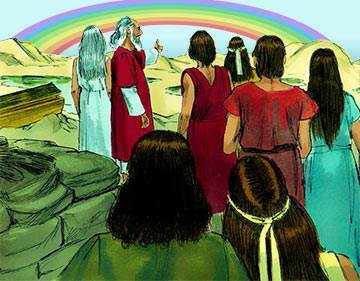 God’s covenant with Noah, and through him to every living creature (v. 17), that never again would the earth be engulfed by a Flood was dramatically ratified by a rainbow. Did you know that there is a rainbow in heaven? You can read about it in Rev. 4:3. It is God’s pledge that when this fleeing dispensation is ended, and all things have reached their consummation, never again will sin rise up to spoil God’s fair and beautiful universe. Hallelujah! 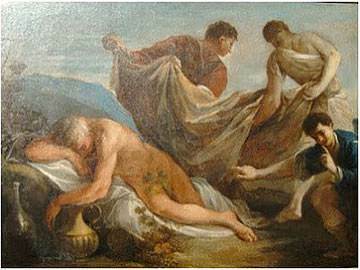 The Flood had swept away many things, but not the evil tendency that is resident in the human heart—as Noah’s drunkenness clearly shows. This lapse became the occasion of the blessing upon Shem and Japheth, but the curse upon Ham. Most scholars believe that Ham not only saw his father’s nakedness, but looked upon it with lewdness and told his brothers about the problem in a disrespectful manner. 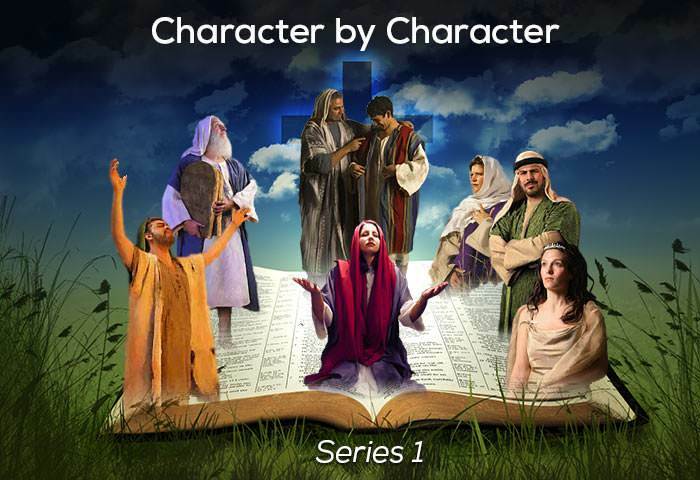 The situation brought to light the character of the three sons—the coarse irreverence of Ham in contrast with the dignified sensitivity and honour of Shem and Japheth. These three sons of Noah repopulated the earth as commanded by the Lord in Gen. 9:1. 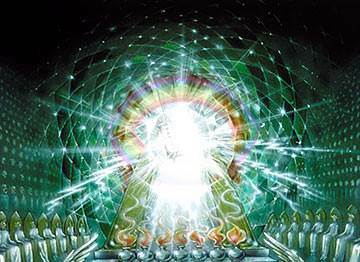 General servitude to seed of Shem and Japheth. 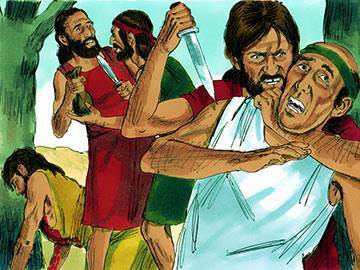 Joshua, David, and Solomon subdued them. Alexander the Great subdued them. The famous Christian anthropologist Arthur C. Custance states that all the earliest civilisations of note were founded and carried to the highest technical proficiency by the Hamitic peoples. Since 539 BC, with the defeat of the Babylonians by Cyrus the Great, no Semitic or Hamitic race has succeeded in breaking the world supremacy of the Japhethic race. This glorious prophecy is fully explained by Paul in Rom. 11:13-25. Here is obviously a reference to the special favour bestowed upon Shem’s descendants, beginning with Abraham, and ending in a Bethlehem manger. Responsible for man’s physical well-being. Development of the scientific method. Responsible for man’s mental well-being. Responsible for man’s spiritual well-being. 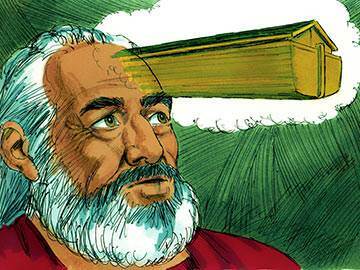 How sad that Noah, a man who when all the world was against him was able to face single-handed both scorn and violence, fell prey to the sin of drunkenness. It underlines the fact that it is the smaller temptations that are often most effectual, and that it is not over the mountains that we trip, but over the mat! Noah’s life and witness illustrate the importance of maintaining a consistent witness in the face of abounding scorn and ridicule, and never giving up even though one’s message seems to be falling on deaf ears. His resource, according to the writer to the Hebrews, was faith—the foresight of a better future. The qualities that spring from such faith are moral integrity, vision of God’s plans and purposes, and an inner conviction that releases us from the pressure to perform. Great though Noah was, the Scripture has no hesitation in revealing that he fell into sin. It shows how alert we must be in recognising that our accomplishments for God do not, in themselves, insulate us from the power or possibility of temptation.